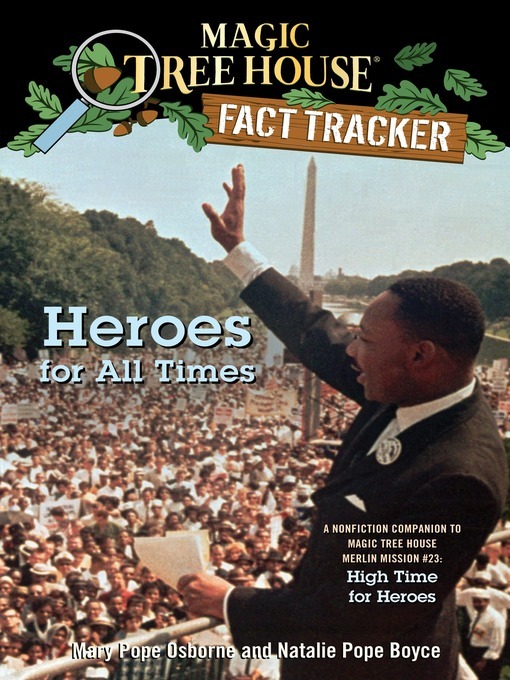 Title Heroes for all times [electronic resource] : a nonfiction companion to Magic tree house #51: high time for heroes / by Mary Pope Osborne and Natalie Pope Boyce ; illustrated by Sal Murdocca. Publication Info. New York : Random House, . Magic tree house fact tracker; 28. Note A STEPPING STONE BOOK."